Immunotherapy is a term used to try and alter the response of the immune system to an allergen. An allergen causes an allergic reaction. Sublingual immunotherapy refers to a desensitisation process where drops or dissolvable tablets are placed under the tongue on a daily basis to slowly lessen the allergic response to a specific allergen. Desensitisation has been used for many years in the form of injections. This has been effective but is risky. The injections needs to be administered in a doctor’s surgery, and anaphylaxis is a significant adverse event. Over the last decade studies have shown that a similar and less riskier method is to place drops under the tongue. These drops will slowly desensitise the immune system to the the specific allergen found in the drops. Dissolvable tablets have recently become available which are easier to administer. Desensitisation is a based on giving slowly increasing allergens in response to a specific allergic disease with the view to changing this response. Homeopathy is an unscientific theory involving diluting sustances with water until there is virtually no active substance present. The memory of this substance is all that is needed according to their beliefs. 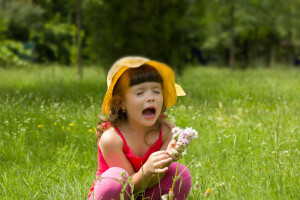 Homeopathy has no place in allergy management. What Allergens can be used ? Drops : These are called Stalarol. At this stage the most studied and effective are dust mite and pollen allergens. Dust mite is the principal aeroallergen for asthma and allergic rhinitis (hayfever). It is also often the main allergen in eczema and allergic conjunctivitis. Specific grasses are also available. Unfortunately there is no desensitisation currently available for foods but this is coming. Dissolvable tablets: Recently Oralair has become available in Australia. This is taken daily and covers a number of grasses including ryegrass, timothy grass, sweet vernal grass, meadow grass/Kentucky Bluegrass and cocksfoot. They do not contain other potential triggers for hay fever like Bermuda grass, plantain or paspalum or birch tree pollen, and currently no Oralair tablets are available that contain dust mite or mould or pet extracts. If you have a significant allergy, and the main allergens are covered by the immunotherapy (dust mite & grasses) based on history, examination and testing (either skin prick test or RAST blood test), then anyone over the age of 6 to 7 years qualifies. The age is determined by the ability to follow instructions regarding the drops or tablets. How are the drops given ? Drops are placed under the tongue each morning and held there for two minutes. The dust mite drops are slightly sour and salty. A tic tac can be held in the mouth at the same time. There is no eating for 10minutes afterwards. The drops start at a very low concentration and slowly this is increased over a fortnight to a maintenance dose. There is a very small risk of anaphylaxis with the first dose. Sometimes there is some tingling noted. The first dose should be done at the doctor’s surgery. For 6 months the cost is about $250. At the end of the first 6 months if there has been no change in symptoms then there is no point in continuing. In the long run this is a cheaper alternative than anti allergy medications such as antihistamines, sprays and drops. Some medical health funds will help fund this. How Can I start Treatment ? Allergy specialists are the principal source of information regarding whether or not this treatment is appropriate for your child. For more information regarding specialists in general see Australasian Society of Clinical Immunology and Allergy. This is at allergy.org.au. The products are made by a company called stallergenes.